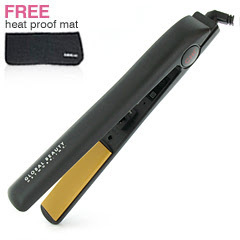 Anyone that follows my blog for long knows that I love my flat iron. I use it almost daily for my hair to straighten or do flat-iron curls, and occasionally on my DD’s hair. Click here for directions on how to do flat iron curls. So I thought you might be interested in this deal on CHI’s I found. I haven’t done tons of recent price comparing, but know that often CHI’s are around $100. So I thought this 1 inch CHI for $64.99 plus free shipping (after the code) was a pretty good deal. Use coupon code TOOLS10 to get 10% off $50 +. I don’t know how long the deal lasts, so if you’re interested move fast! OR leave a comment if you know of a better deal! To find this deal click here. I have some SUPER EXCITING news I’ll be announcing next week. Plus a new hair do….so stayed tuned!